Walk a mile and make a difference in the lives of unwanted draft horses! As we kick off our fifth year of saving lives, we are thrilled to be able to walk one mile together to support the rescue of unwanted draft horses. Ask friends, family, and colleagues to sponsor your walk with a donation that will provide care to unwanted draft horses! The walk will be mostly level around a field, along a rail trail, starting and ending at our barn. The money raised will be used to rescue and provide winter care for unwanted draft horses. Aged farming horses have earned a safe retirement, you can help us give that to them! Thanks to you, Draft Gratitude is able to give second chances to unwanted draft horses. 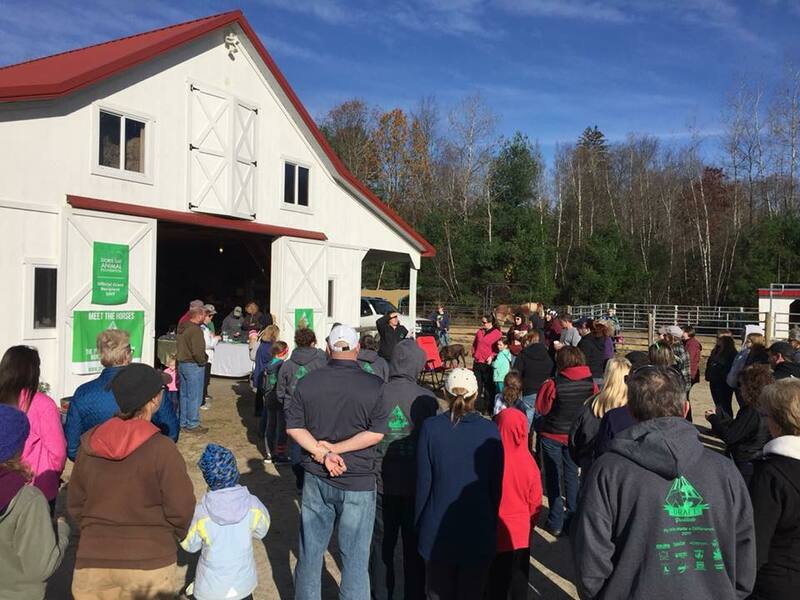 Draft Gratitude is an all-volunteer nonprofit draft horse rescue located in Winchester, New Hampshire. 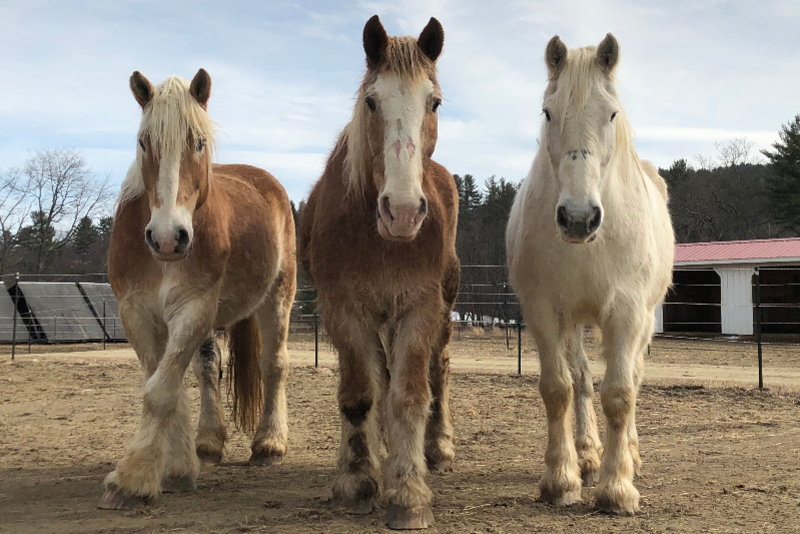 Draft Gratitude saves draft horses from slaughter by providing a second chance and a place to call home. The draft horses that we focus on are aged farming horses who have worked tirelessly their entire lives. They have earned a second chance and a safe retirement. 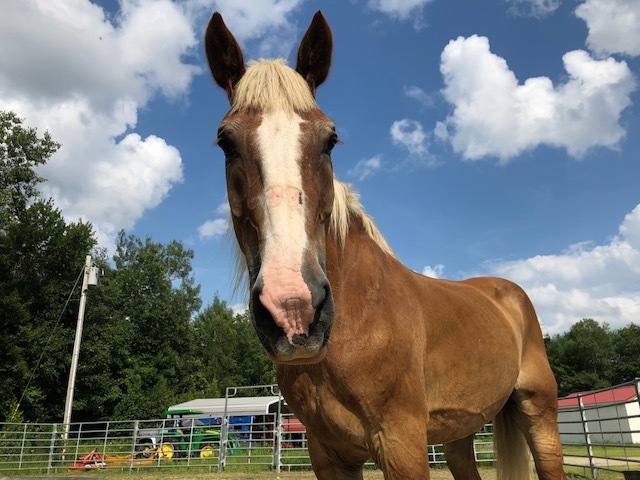 Once rehabilitated, some horses can be paired with qualified adoptive homes to be used for light work including farming, homesteading, trail riding, pleasure driving and companionship. Horses that are not adoptable for any reason will live our their life in sanctuary at our farm. With your help, we are making a difference in the lives of unwanted draft horses.